their native Scotland through to the biggest festivals in Australia. Having cofounded (and subsequently closed on reaching the 10th release) the influential Instruments Of Rapture label Revenge put out three 12ʻs as 6th Borough Project which have since gone on to become highly sought after vinyl only releases. 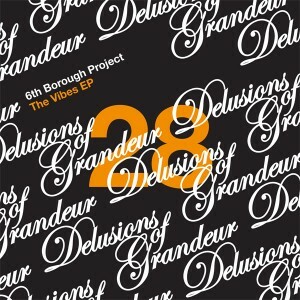 The Vibes EP kicks off with what must certainly be the Boroughʼs most dark nʼ dirty track to date! If itʼs big, bad basslines youʼre into then this should definitely do the trick. Low-slung disco beats provide the backbone and trademark clipped vocal and orchestral string hits punctuate the track with the result being an ear-grabbing slice of warehouse funk that will leave you reeling. Next up we have a remix from more talented UK young blood probably not known to his mum as Chicago Damn. With just a select few releases to his name this one-man power house of twisted, forward-looking house is starting to cause a stir and deservedly so, with tracks and remixes on labels such as Mark Eʼs Merc, Quintessentials, Letʼs Play House and Wolf Music. On his remix of The Vibes he pushes the sonic boundaries of what we expect from a deep house track with ear-splitting highs and eye-wobbling lows. Stripped back to the raw elements and keeping things loose and simple Chicago Damn succeeds in bringing his own unique sound to the table and producing a standout track that we hope you enjoy as much as we do. On the flip side we have a second original from 6BP in the form of Just A New Day and what a beauty this one is. Once again, the boys manage to rustle up the best drums, most hypnotic string loops and another badboy bassline to move to. 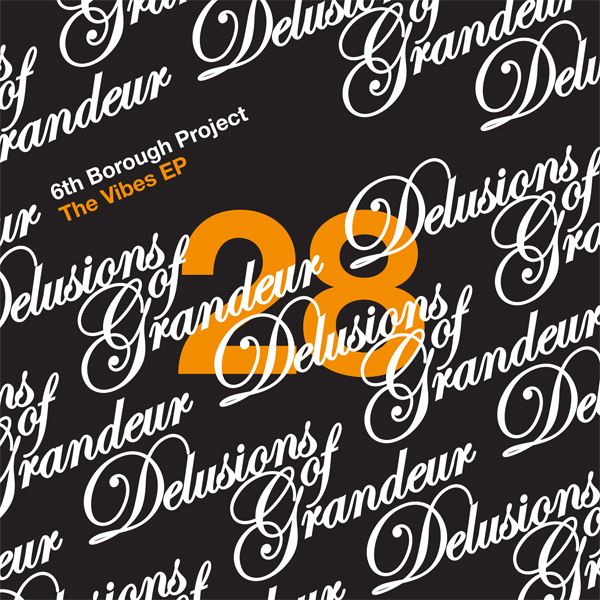 Itʼs a long time coming but when the blissful break drops and the bassline properly kicks in itʼs clear weʼre listening to a new chapter in the development of the 6th Borough Project sound.